Psychological testing at New Oakland can either be referred from an outside source and tested by a psychologist at one of our locations, or be tested as part of the FACE to FACE Day Program. Psychological testing is based on medical necessity as prescribed by New Oakland’s Executive Medical Director, treating psychiatrists or as recommended by the assigned clinical therapist. In all situations, the treating psychiatrist and/or the Executive Medical Director will work with the testing psychologist to identify the psychological battery of tests to be completed. Once testing has been completed, a preliminary synopsis or a copy of the psychological report will be provided to the treating psychiatrist and/or the Executive Medical Director as well as to the treating clinician for treatment planning. 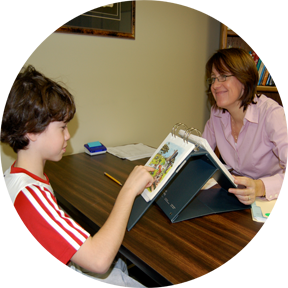 Before treatment begins, a meeting with the patient or his or her parent or guardian can be arranged to review all the key test findings. New Oakland also has special expertise in the area of psychological testing related to the impact of traumatic events on children and teens. According to the National Child Traumatic Stress Network (NCTSN) children who have experienced complex trauma often have difficulty identifying, expressing, and managing emotions, and may have limited language for feeling states. They often internalize and/or externalize stress reactions and as a result may experience significant depression, anxiety, or anger. For a child with a complex trauma history, reminders of various traumatic events may be everywhere in the environment. In addition to the screening form provided above, if you are a mental health provider serving youth consumers in Michigan you believe would benefit from a comprehensive trauma assessment, you should also use the following form to access the trauma assessment program of the Michigan Department of Health and Human Services (MDHHS). These referrals will need to be approved by the county director or his/her designee for that child’s service area and must be submitted by mail with all required documentation. Please contact New Oakland at TraumaRefer@newoakland.org for guidance about how to proceed.